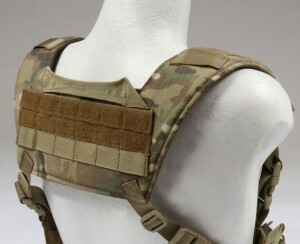 A client contact us about using his set of soft body armor inserts in one of our carriers. 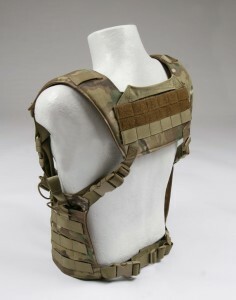 He indicated he was having a difficult time finding a Ranger Green outer tactical carrier that would support his armor. We determined he had a set of NIJ style cut body armor by some pics he send to us. We directed him to check the dimension of our NIJ standard cut carrier to see if they would work with his armor . His soft armor was cut differently and the standard NIJ carrier would not work. This happens to a lot of good soft armor out there. You spend all this money on a nice custom made soft armor set or have a set from a manufacture that doesn't make outer tactical carriers so your soft armor has limited use. We see this every day with Law Enforcement officer that get custom cut soft armor and aren't given a outer tactical carrier to go with it. 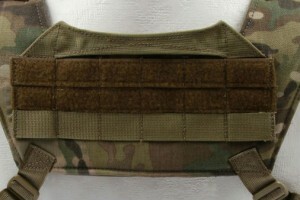 Here at BCS we have been making custom body armor carriers or Outer Tactical vest for custom cut body armor for some time now. 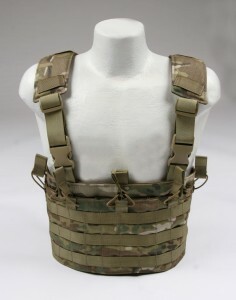 If you are having a difficult time finding an Outer Tactical Carrier for that expensive soft armor and want to up-armor with hard plates we can make you a carrier. We have a simple set of instruction on our site to follow. 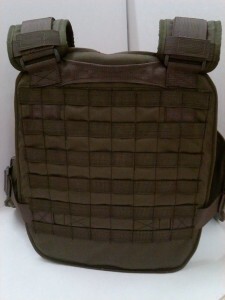 Follow the link: Custom Outer Tactical Carrier. The first thing is to make a paper outline of your soft armor and send it into us. On the outlines you tell us what you want on the carrier like: Molle webbing, ID velcro, Shoulder and waist configuration..etc. We send you a quote, you send funds and we start to build it. I contacted Beez looking for a custom carrier built around my own IIIA inserts and 10×12 plates. The communication was fantastic, and these guys knew exactly what I was looking for. 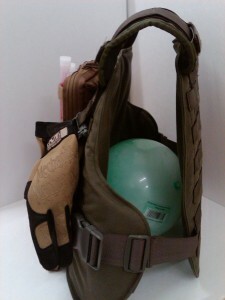 They directed me toward the IOTV MOLLE carrier for inspiration, and that's what we based my carrier off of. I couldn't be happier with this carrier. 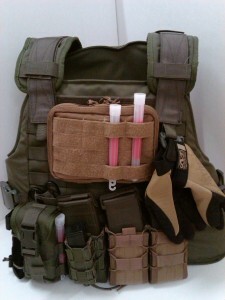 In my "garage" of tactical nylon, there are some all-star pieces and some duds. My Beez Combat Systems carrier stands alone as the king among my collection. The stitching is second-to-none, with no loose ends and no strays. 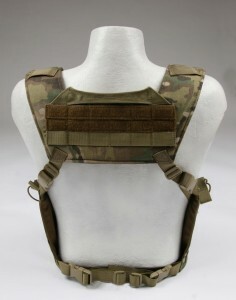 The MOLLE is perfectly spaced, and "tight" enough to take out any play with mounted pouches/accessories yet "loose" enough to use soft straps and Malice clips to mount things easily. The internal plate pockets are ingenious, giving some amount of adjust ability for mounting plates a bit lower or higher as needed. My mom is a master seamstress and I wouldn't have expected this level of work out of her! Great work!!! With the additional weight of a hydration carrierand water a drag handle/carrying handle was a must. We wanted to keep the drag handle as low profile as possible. The drag handle is made with 1.5” webbing to keep the signature low while extending across the back of the padded harness for easy access.